Old Trafford Cricket Ground is close to Old Trafford Football Stadium. Map showing the location of Old Trafford Cricket Ground in England. Perhaps needs updating given the scale of the redevelopment. 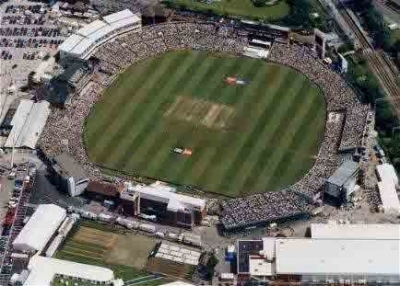 You have the ability to request en edit to any of the details of Old Trafford Cricket Ground. You can do this by clicking on one of the options below.